In this terrifyingly timely tale for fans of The Eye of Minds, a teen and his group of friends find themselves on the run after using a genius lie-detector contraption to expose their corrupt government. Will McIntosh is the author of several adult speculative fiction novels, and a frequent short-story writer. His work has received a Hugo Award for Best Short Story and been named to the ALA-RUSA Reading List for Science Fiction, and his first young adult novel, Burning Midnight, was a Locus Award finalist and an ALA-YALSA's Teens' Top Ten nominee. In addition, Will wrote Watchdog for middle-grade readers. Will lives with his wife and twin children in Williamsburg, Virginia. 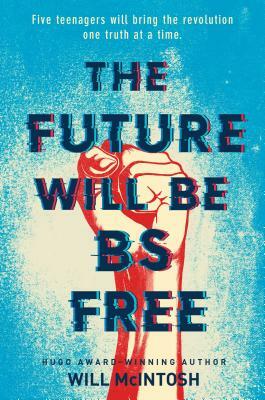 The Future Will Be BS-Free is his second novel for young adults. Visit him online at willmcintosh.net and follow @WillMcIntoshSF on Twitter.